Waldläufer [valt-loy-fer] is a second generation shoe manufacturer of comfortable footwear. Approximately 13,000 pairs of Waldläufer shoes are produced each day using traditional craftsmanship and the latest, environmentally-friendly technology. Waldläufer Sandals are made of natural leathers and nubuck. Every style includes a removable footbed that makes it ideal for use with custom and off-the-shelf orthotics. 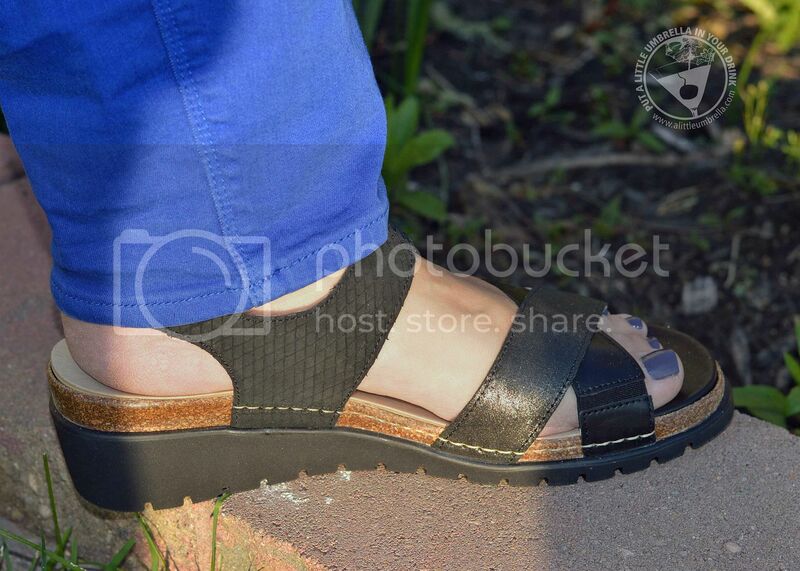 I am all about comfortable shoes, so I was excited to try a very versatile spring style, the Fiona. The Fiona has quickly become my go-to style for work, travel, or casual weekend activities. 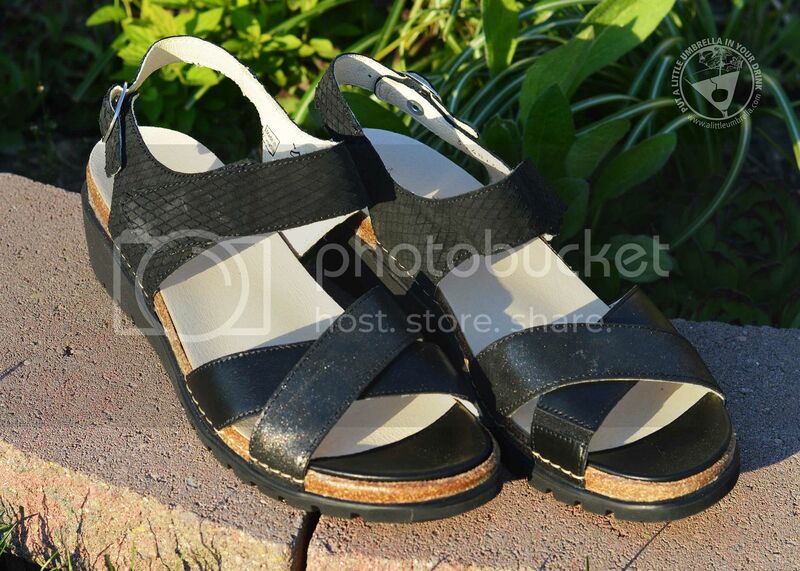 This lightweight sandal made in a natural leather upper has an all leather lining along with adjustable velcro straps and an open heel. Fiona has a perfectly supportive fit for medium to wide widths. I normally would order a wide given the option, but as you can see, the fit is practically perfect. They are so so comfortable! The two inch heel height can take you from work to play. 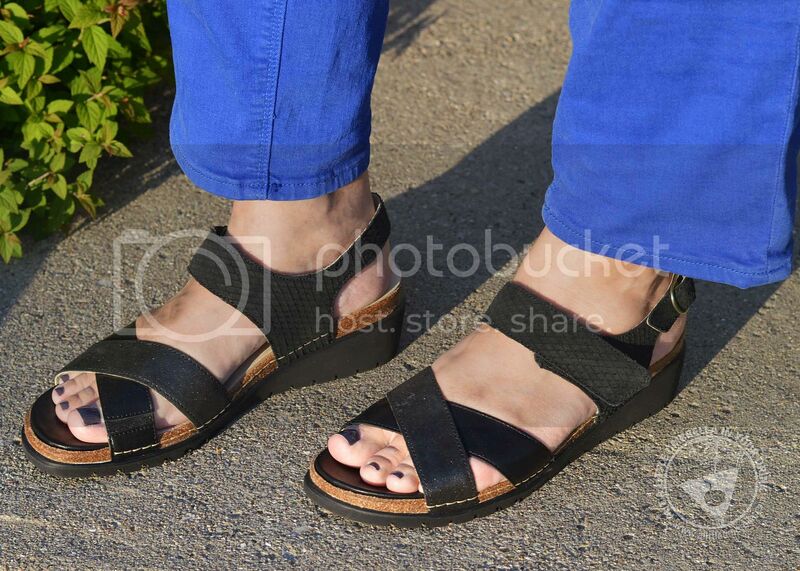 It is just enough of a lift to make it a sandal you can wear with anything. They have wonderful support and stability. I felt like they were made just for my feet. They even have removable footbeds featuring arch and metatarsal support. The firm counters allow for better heel fit and control. I also love the different leather textures in the Fiona. It gives it a unique look that goes with more wardrobe options. If you look at the shoe on the right in the photo below, you will see an elastic piece near the toe. This extra stretch allows for more comfort and a more perfect fit. In the photo above, you will see the buckle at the back of the shoe. That is merely for decoration. The real way to adjust the shoe is by using the velcro strap. How cool is that? They are so easy to take on and off. You can adjust them to the perfect fit. 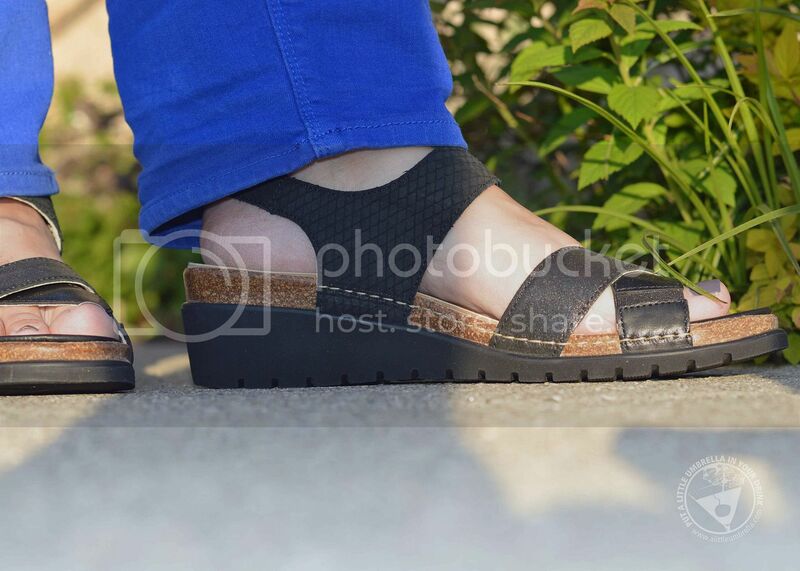 If you are looking for a versatile sandal that's great for work, travel, and leisure, check out the Fiona Sandal. From the adjustable straps to the open toe, Fiona can stylishly meet all of your wardrobe needs. Visit Waldläufer to check out all of the spring styles! I love the gold tennies and the navy slip ons shown below. Waldläufer shoes are cute, on trend, and most importantly, super comfortable. Connect :: Visit waldlaufer.com to check out all of their spring styles. You can also connect with Waldlaufer on Facebook and Twitter. Buy It :: You can purchase the Fiona Hanmei Black Combi for $165.